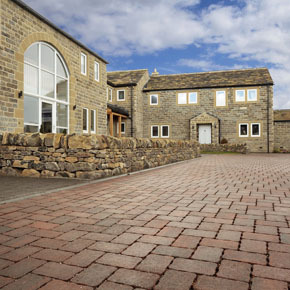 As a leader and specialist in the design, manufacture and supply of high quality products for hard landscaping, transport and building schemes, we have expanded both through organic growth and by acquisition. 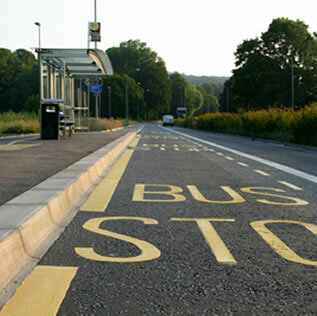 Through this growth and the incorporation of the product and expertise it includes, we have in our portfolio many renowned and long-proven brands such as Trief and Kassel specialist kerbs - in fact Brett is now one of the leading safety kerb manufacturers in Europe. 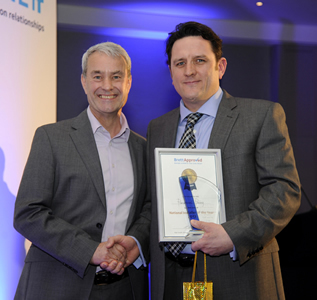 These well established and successful products are complemented by an innovative and comprehensive design service and technical support. 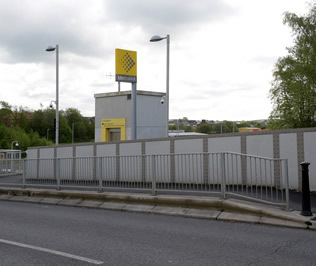 Through our expertise, gained over many years, we are able to offer comprehensive support through to the design and installation of our products. 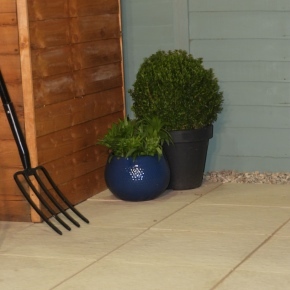 Brett has a wide range of products, including natural stone and concrete paving, block paving and gravels, to create your perfect garden patio, terrace or pathway whether your style is traditional rustic or modern contemporary. 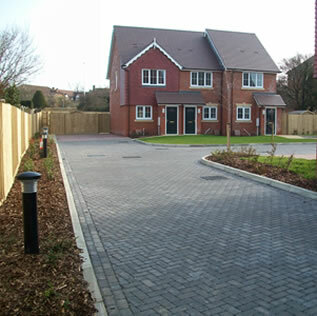 Brett has developed an extensive range of products including specilist kerbs, permeable, block and flag paving as well as specialized aggregates suitable for every hard landscaping, transport & building scheme. 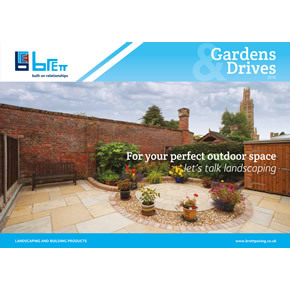 Brett Landscaping’s Gardens and Driveways brochure for this year is now available and is full of supreme quality imagery of projects to inspire homeowners. 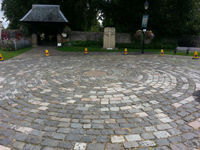 Brett Landscaping has introduced a new paving range, Stamford Ultra. 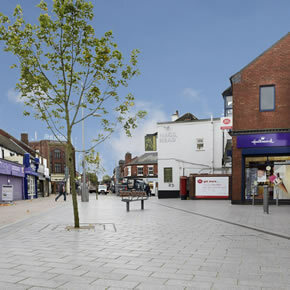 Brett Landscaping’s Piatto modular paving has been specified for the rejuvenation of Kirkby-in-Ashfield town centre. 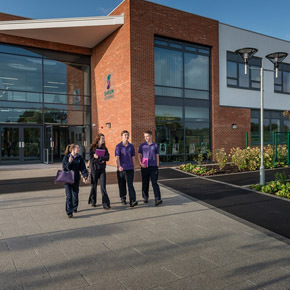 Brett Landscaping has listed a range of its products on the National BIM Library, an online resource of building products that have been BIM registered. 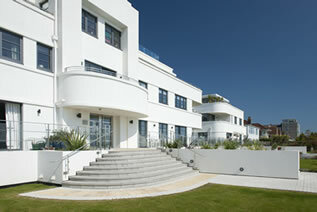 The vibrant and modern Piatto paving was combined with classic Omega and Omega Flow rectangular paving blocks. 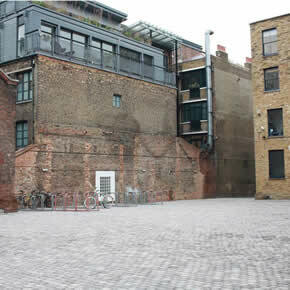 Working in conjunction with Marshall K Paving Contractors, Brett Landscaping has supplied and installed paving at London’s National Centre for Circus Arts. 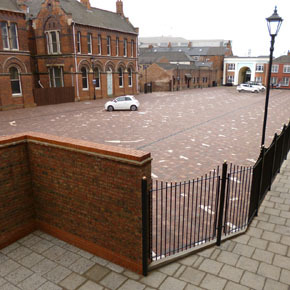 Products from the Brett Landscaping Alpha Antique block paving range have contributed towards the regeneration of part of Hull’s historic Old Town. 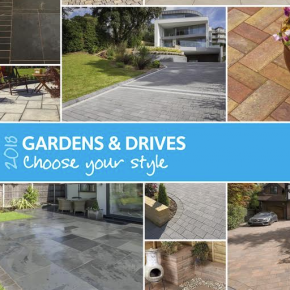 Brett Landscaping has announced the launch of its Gardens & Driveways brochure for 2016. 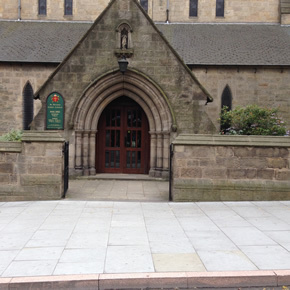 It can be used as a marketing tool, as well as a product showcase. 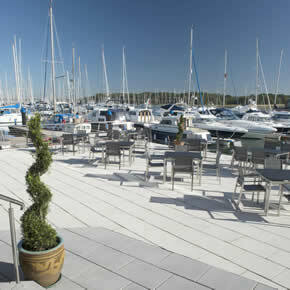 Brett Landscaping’s Lugano flag paving has been used to create a striking exterior to Southampton’s Royal Southern Yacht Club. 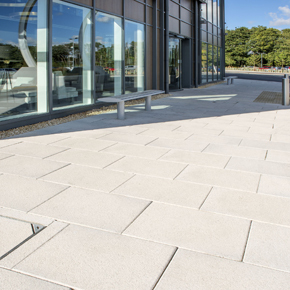 Lugano flag paving has formed an integral part of the exterior landscaping at a new hotel as part of the Ageas Bowl Cricket Stadium in Southampton. 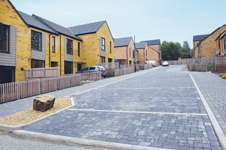 Brett Landscaping’s Fens Moss Yorkstone flag paving has provided Nottingham City Council with the hard landscaping solution they required to redevelop two highway facilities.